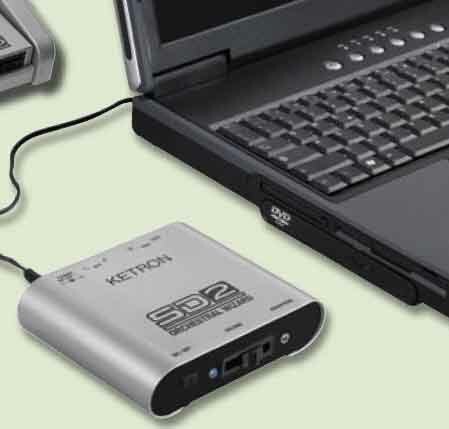 The KETRON SD2 Orchestral Wizard is a pocket size sound module designed for all PC and Midi applications. Equipped with a new powerful sound engine, including a professional Stereo Grand Piano sound over 88 notes, huge Orchestral voices such as Saxophones, Brass, Woodwinds, Guitars, Accordions, Organ Digital Drawbars and many others, the SD2 has all the latest features for recording, programming and live performances. The quality of the Solo instrumental Voices (following the traditional KETRON Best Natural sound heritage) is a remarkable advantage of the SD2. In addition, the SD2 includes very distinctive Audio Drum and Percussion Loops selected from Slow, Jazz, Latin, Acoustic, Traditional and Dance styles. Used in conjunction with a Computer, Master keyboard, Midi accordion or Midi guitar, the SD2 offers an “all-in-one” great sound resource that can be used to greatly enhance standard Midi fi les, as well as for Home and Studio compositions and recordings.